The BTS Army is one loving fan base! 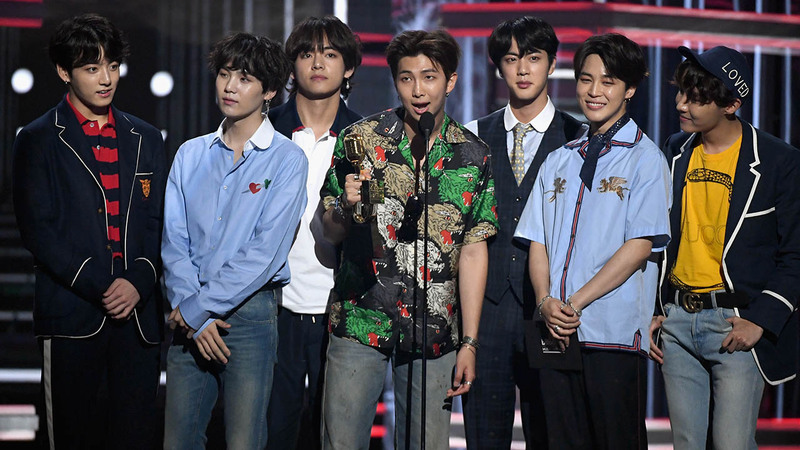 BTS took home their second MTV Europe Music Award on Sunday night, winning the Biggest Fans award for their devoted followers. “Big congrats to @BTS_twt and #BTSARMY on your BIGGEST FANS AWARD WIN,” the MTV EMAs tweeted on Sunday. BTS’ fans beat out the fan bases of Shawn Mendes, Taylor Swift, Selena Gomez and Camila Cabello. Army members quickly flooded social media to show their excitement and happiness for the win! “CONGRATS ARMY CONGRATS BTS LOVEY’ALLL,” another wrote. “Congratulations! Lets stay winning legends,” a third fan tweeted. Congratulations! Lets stay winning legends. BTS previously won an EMA for Best Korean Act in 2015.